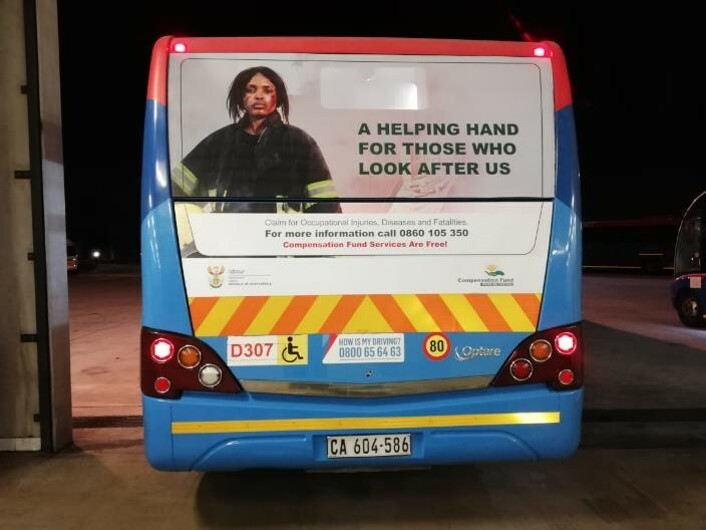 To create awareness for the Compensation Fund, the brand commissioned Transit Ads to implement a highly impactful 2-month campaign in both Johannesburg and Cape Town. The strategy included 45 branded Rea Vaya bus backs, 20 MyCiTi bus backs and a commercial flighted for 3 months on the national place-based digital television network Transit.TV™. 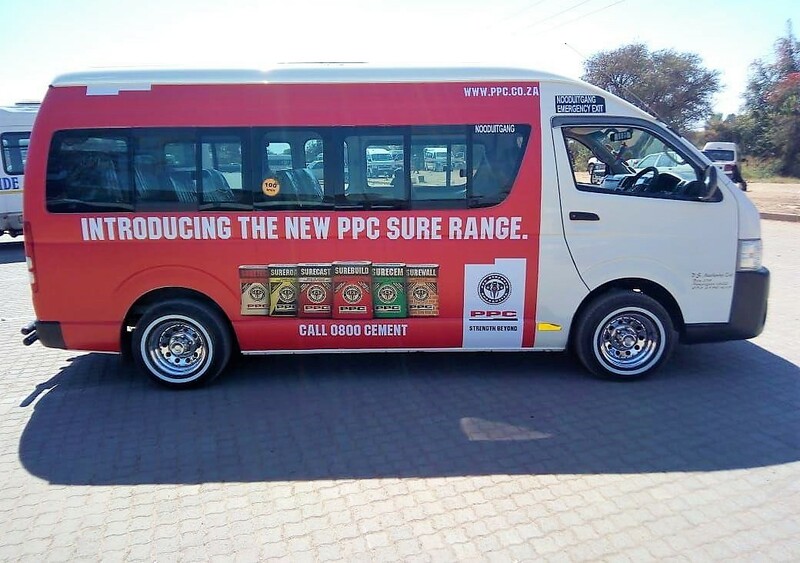 The advertising investment opportunities presented by Rea Vaya and MyCiTi are in line with, and take advantage of, consumer growth, urbanization, infrastructure development and socio-economic shifts. The busses pass through high density areas that include universities, malls, business districts and residential, which means that messaging on these touchpoints has impact, frequency and positive effect.